The Liberal Government is proposing several changes to the small business tax regime in Canada. Their stated reason is “tax fairness” – to keep the rich from using corporations to shelter tax that they would otherwise pay at a personal level. Unfortunately, unless done properly, this will make it tougher for entrepreneurs to raise capital and less attractive for investors – not good for the same Government’s “Innovation Agenda”. While some of the Government’s proposals are in the preliminary stages and input is being sought, some are already in draft legislation indicating less flexibility and openess on some issues. Nonetheless, citizens have until Oct 2, 2017 to be heard. The Government’s discussion paper is available online [click here]. It contains the link to provide feedback. Converting a corporation’s income into capital gains. In the Government’s discussion paper, many comparisons are made between a salaried employee and a small business owner and how the small business owner has a huge tax advantage because if her income comes through a company, she pays only 15% in taxes and can then re-invest the other 85%. A salaried employee has to pay about 50% (depending on province) in income tax, leaving only 50% to be re-invested. The show that if $100,000 of income is taxed and then the balance ($50K vs $85K) is invested, after ten years the small business owner will net about double what the salaried employee gains. However, the paper disregards the point that it is these same companies that hire said salaried employees before there’s any cash left to invest! And, comparing salaried employees to entrepreneurs is like comparing dogs to cats. They are simply different. This so-called “loophole” started with professionals (eg doctors – who are clearly being targeted) incorporating themselves to shelter income and also use family members to whom they could “sprinkle” income at lower marginal tax rates. But, by trying to close this loophole, the Government may well be slamming the door on entrepreneurship through unintended consequences. Once again, it shows that government people just don’t understand how hard it is for entrepreneurs to build successful companies and throwing curveballs at them only makes it tougher. Instead of attacking small business, why not simply give salaried employees the same tax shelter opportunity? This already exists in form of RRSPs and TFSAs. So, why not just increase the contributions limits on these shelters? Of course, by doing so, total tax revenues will be decreased suggesting that it’s not just about “fairness”. To make up for the lost revenue by allowing salaried employees to shelter more income for investment, why not raise the small business tax rate by a few percentage points? And, at the same time, perhaps reduce the regular corporate rates slightly? One problem we have in Canada is that business like to stay small because of the low tax rate. What we need is more incentives to small businesses to turn them into large companies! Closing the gap in rates would help. Another solution would be to not permit professionals to use corporations or, if they do, apply a different rate of tax to these corporations using certain criteria. In any event, keep in mind that these corporations do pay salaries before they take advantage of generating what the government calls “passive” income (clearly a bad word). My main concern about the proposals relate to investment. Entrepreneurs get their initial capital from family and friends first and then from individual investors (aka angel investors). The tax proposals will discourage family members from investing – especially through a corporate entity. For some detailed discussion on this, check the blogs by Kim Moody and the discussion by Jay Goodis on how the federal proposals will chase entrepreneurs away. These will knock the wind out of you! Furthermore, the tax measures will discourage angel investors. Many angels make investments in startup companies by using capital in their own companies. Some have set up holding companies (ie investment companies) for just this purpose – to pay less tax so that they can invest more in our economy! In its effort to close the afore-mentioned loophole, the government will greatly reduce the returns to angel investors. BTW – the returns are already not that great as it is. I worry that, because of the high failure rates in startups, angel capital could dry up. Reducing the payoff will exacerbate the matter. Plus, angels have to be vary patient and commit their capital for a very long time (generally 10 years or more). One of the proposals – the elimination of the Dividend Refund on dividends paid by companies – would have the effect of increasing the already-high tax rate of 56% for an Ontario angel investor to 73% on interest income and from 28% to 59% on capital gains. This does not exactly encourage investors! Another proposal – which is already in draft legislation form would be retroactive to July 18,2017 and could indirectly eliminate the 50% capital gains inclusion rate for capital gains earned by a corporation. This draft legislation, referred to as 246.1, could take away the capital dividend account (CDA) that now provides for a tax-free capital dividend for the 50% non-taxable portion of a capital gain – if one of the purposes of the series of transactions is to create such a capital dividend account. This is a very subjective determination. In B.C., for example, where many investors use VCCs (Venture Capital Companies authorized by the B.C. Government to issue tax credits to their investors), their current effective tax rate is 26.08%. For example, if the VCC has a $100K gain on a startup, the investor in the VC ends up with $73.9K in profit. This is almost identical to what the investor would get had she not used a VCC (this is accomplished by what is known as tax “integration” – totally fair). BUT, now under the 246.1 draft legislation, the 50% deduction goes away and the VCC investor will pay 45.56% in taxes, netting about $53K which is almost DOUBLE the amount of tax (so there goes “integration”). This can be a real problem in B.C. where investors are encouraged to use VCCs to invest in startups! This could mean the end of many VCCs. If anything, investors in startups should be encouraged to set up angel funds (to reduce their risk and increase their portfolios) such as the VCC model in B.C. but new rules, such as 246.1, will kill that. 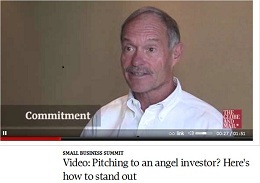 There should be more incentives for angel investors rather than discouraging them! Failing that – leave it alone. It’s working just fine as it is! And- to make this worse, on September 11, 2017, the B.C. Government announced tax hikes that will undoubtedly affect angel investors. If you are affected by these proposed tax changes, contact your MP and make sure he or she understands ho it will impact you. Also, a reply using the address in the discussion paper will help. For PDF Version of Dicussion Paper, [click here]. Tech Leaders and angel investors comment on threats to startups & innovation.